The eastern Mediterranean, in particular Crete island, is under extreme effects of warm southerly winds pushing enormous amounts of Saharan dust – and hot air – northwards. The island is nearly choking in dust. 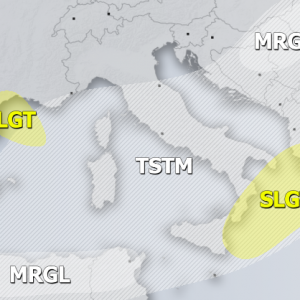 As expected, the cutoff low in the central Mediterranean is pushing enormous amounts of Saharan dust into the eastern-central Mediterranean. Strong Scirocco winds are blowing dust from Lybia towards Greece and the Aegean region. Enormous amounts of Saharan dust across the central and eastern Mediterranean, as seen from space today, March 22, around noon CET. Image: NASA Terra MODIS. Detail on Crete island. Image: NASA Terra MODIS. Satellite images reveal a rare sight, as the dust moving towards Crete island is so thick that the surface of Mediterranean sea is not visible below it. There are large amounts of dust also moving across western and central Greece, the Aegean region, much of Turkey and across the eastern Mediterranean, as far east as Cyprus. Temperatures on Crete island have been warm throughout the day: the air from the south is very warm, and there is additional warming due to Foehn effect on the mountainous relief of the island. Temperatures reached 29 °C at Falasarna weather station in Chania between 5 and 6 am. This is about 20 °C warmer than a typical morning at this time. 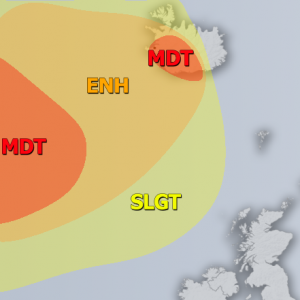 Reports by our readers and webcam images show the air is thick with Saharan dust. Around Chania the dust is reportedly mixing with smoke from local wildfires. Heraklion airport. Report: Jenny Christina Stavropoulou‎. Rethymno, Crete in thick Saharan dust! Report: Fokion Chorinos‎. Chania, Crete early this afternoon. Report: Γιώργος Στυλιανού. Thick Saharan dust enveloping Arkalochori, Crete. Photo: Alevizakis Giorgios. Agios Ioannis, Crete this afternoon. Photo: Anne-Marie Calderara via Andreas Glabedakis. Timbakion, southern Crete. Report: Δημήτρης Τριφιάτης‎. Chania earlier in the day. Image: Skyline Webcams. Dust concentrations across the entire region will remain very high today and tomorrow. Some dust will also be advected into E-SE Europe, as far north as Hungary. Looking at longer term trends, more intense waves of Saharan dust may be expected in the same region in the next 5-6 days. Stay tuned for updates! Dust load forecast. University of Athens SKIRON model.